The position is in a project “Echo Chambers, Experts and Activists: Networks of Political Communication (ECANET)” funded by the Academy of Finland. 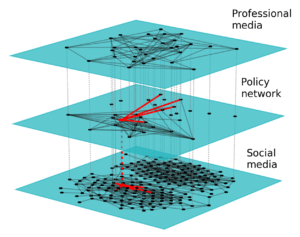 The idea is to analyse how network roles and mechanisms related to polarisation work when they are taken out of isolation and multiple networks are considered at the same time. For example, are the polarisation mechanisms in social media amplified or dampened by what the traditional media does? Is there differences between countries in this? Our interdisciplinary team including experts on policy networks (University of Helsinki) and media studies (University of Tampere) will use data analysis and modelling approaches to study this type of questions. As a methodology we will use multilayer networks, and the concrete case we are interested is discussion on climate change in several countries. The project is running for 4 years between 2019-2022. To apply just email me at mikko.kivela (at) aalto.fi. You can include a CV if you have one ready, but don’t let it stop you if you are still working on it. I will arrange Skype interviews with candidates as applications come in.